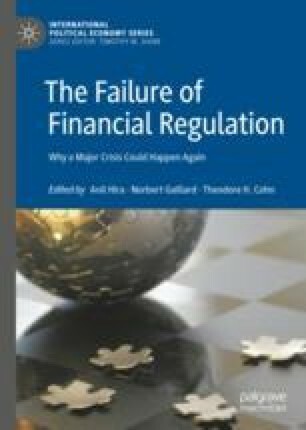 This chapter argues that, since the 1980s, moral hazard has encouraged excessive indebtedness and contributed to greater leniency from regulators and financial gatekeepers towards systemic banks. Examining the rise of the “too big to fail” (TBTF) banking behemoths, we question how moral hazard came to dominate banking culture and how the developing financial innovation in and after the 1980s combined with that culture to accelerate the growth and pre-eminence of the mega-bank. We explore how financial gatekeepers—US regulators, credit rating agencies (CRAs), and the Federal Reserve—became “lenient partners” (or “sweeteners”) that enabled and accelerated the growth of the financial services sector. We propose various reforms dealing with TBTF banks, CRAs, US regulators, and the indebtedness of American citizens.